FREE GIFTS FOR YOU! Our resource section for loads of helpful resources! Take the challenge NOW and start decluttering your life! Each week has five(5) days of challenge, so you can work it Monday through Friday, OR take a day or two off during the week and incorporate the weekend too. It’s entirely up to you, just stick with it so you can reap the benefits of the life changing results! ALSO, each day is available in BOTH video or text format, so you can either see & hear the challenge, or read it – whichever works best for you! You can begin the challenge ANY TIME. Just click on Week 1 to get started! Make yourself a note to check back each morning for the next day of challenge. Keep a journal of your progress and be sure to let us know how you are decluttering journey is going. We’d love to hear from you! Congratulations on taking the first step to Decluttering Now! Often times when consumed by a problem or struggling with a decision, thoughts get clouded, emotions take over, and logic goes right out the window. 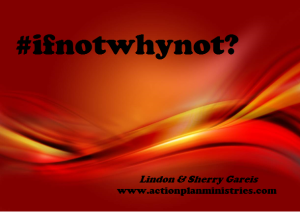 The Action Plan Template will help you cut through all the confusion and take productive steps towards achieving the positive end result you desire. An Action Team is comprised of two team members who each desire to hold the other team member accountable, speak Godly truth into their life, provide encouragement, and support their Christian walk. The Action Team Guide will help you get started in developing and enjoying a Godly, mutually beneficial relationship with a brother or sister in Christ. Take The Clutter Quiz, 10 questions that will help you determine the level of clutter in your life. Scoring chart included! 14 days of CREATIVE clutter busting tasks! Creative because they are tasks that often get overlooked BUT areas which still collect clutter and need to be decluttered! Download the 14 day list here. Download the Declutter Do’s here. Are you interested in reconnecting with your spouse or rekindling that lost spark? Maybe you’d just like a little extra ‘ooomph’? Even the best relationships can use a boost or recharge. Here are four ‘Love Boosters’ to practice EVERY DAY for 30 Days. The goal is to get you and your spouse Face to Face, physically, emotionally and spiritually. Take The 30 Day Face-Off and enjoy marriage changing results! Download The 30 Day Face-Off here.